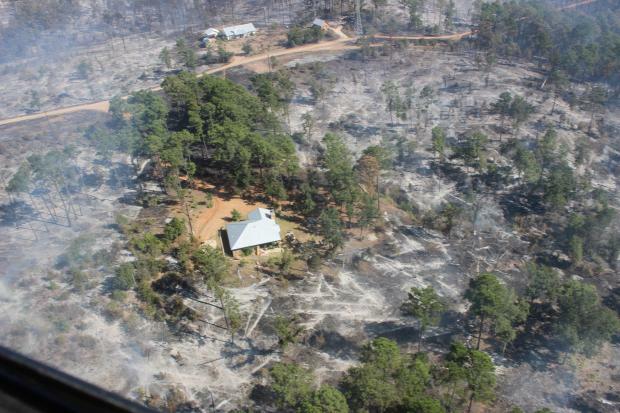 Size, Containment | Acreage has increased from 259,000 to 267,500 acres. The containment still remains at a 40% containment status. Fire Resources | Fire resources have increased even more significantly on Saturday, December 16, 2017, to 8,477 fire personnel, 972 fire engines, 164 fire crews, 34 helicopters, 77 dozers and 94 water tenders. CAL IMT Type -4. On December 14, 2017, over 395,000 masks have been distributed in SBC to help residents with poor air quality. Significant air resources, all headed towards Division U (towards 33 freeway), including both tankers and helicopters in the last 30 min. Sounds like fire issues along that corridor this afternoon. 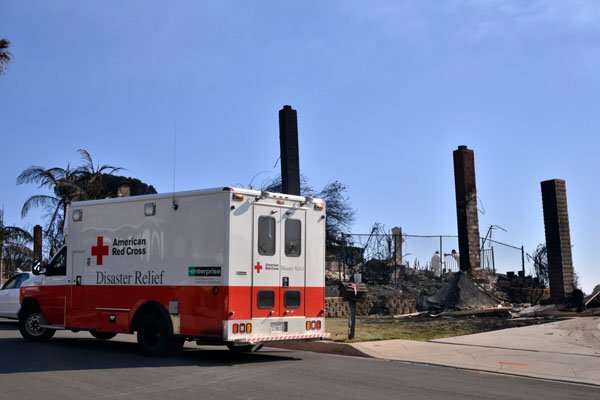 Damage Assessments | 11 additional structures have been destroyed bringing the total to 1,020 structures and 2 additional have been damaged, for a total of 242 structures. $110 Million Cost-to-date expenses. Fatalities | 1 CAL FIRE Firefighter. Current Fire Status | Very strong north winds materialized this morning around 0700 increasing fire behavior significantly in the Santa Barbara Front Country. 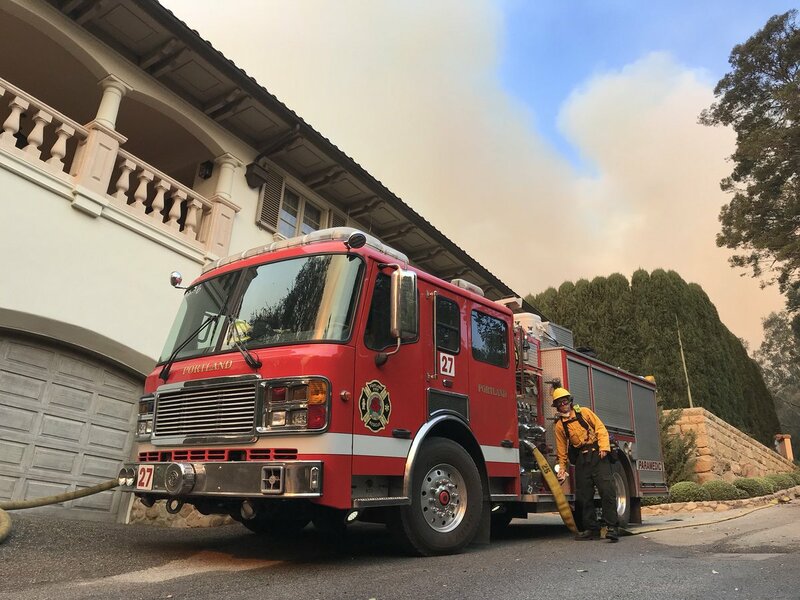 Fire made an aggressive southward push into the community of Montecito, impacting some structures there. Red flag warnings will remain in place over various portions of the fire over the next operational period for high wind and low humidity. Critical fire weather will continue over the fire area, with north/northeast winds forecasted. 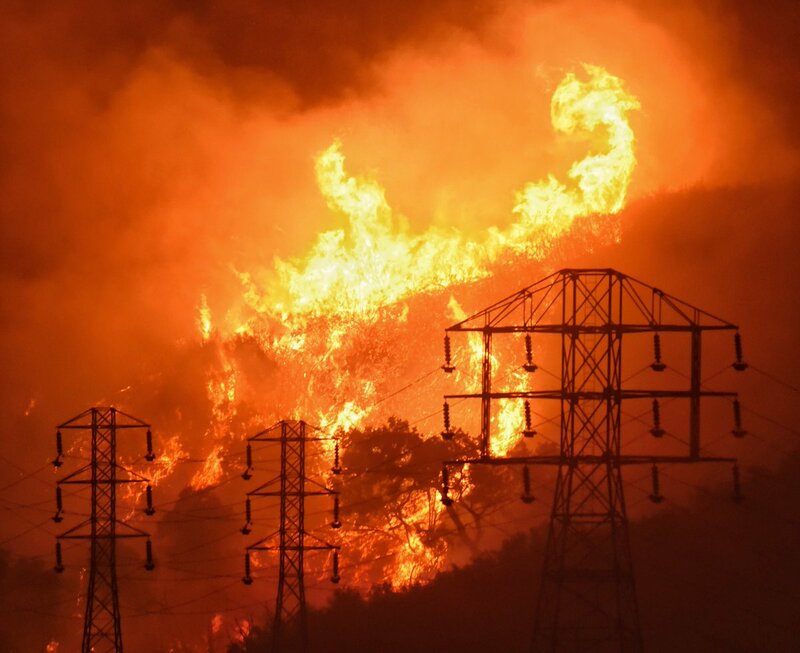 This weather pattern will be conducive to west- and southward fire growth, continuing to threaten the communities of Santa Barbara, Montecito and Summerland in Santa Barbara County. 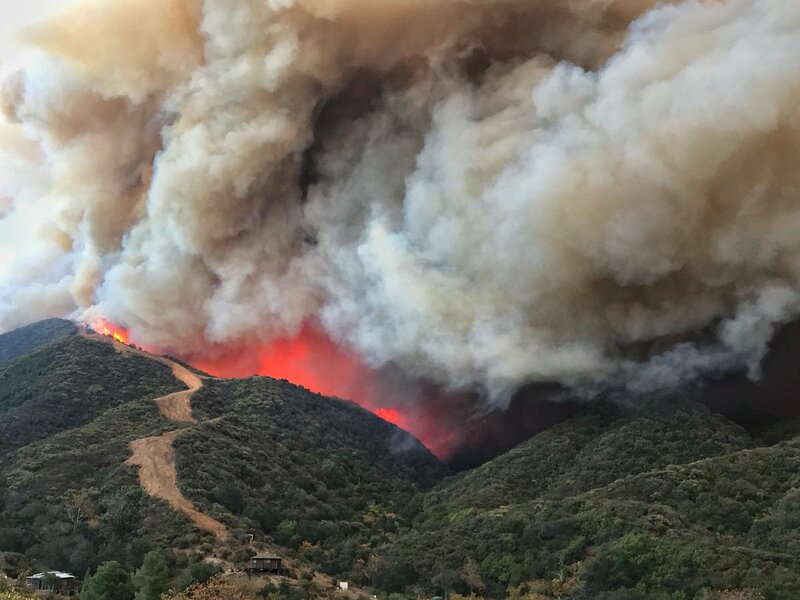 North winds will also exasperate the threat to Fillmore and surrounding agricultural values, with fire being established in the Sespe drainage. Mop-up operations in previously burned areas will be ongoing. 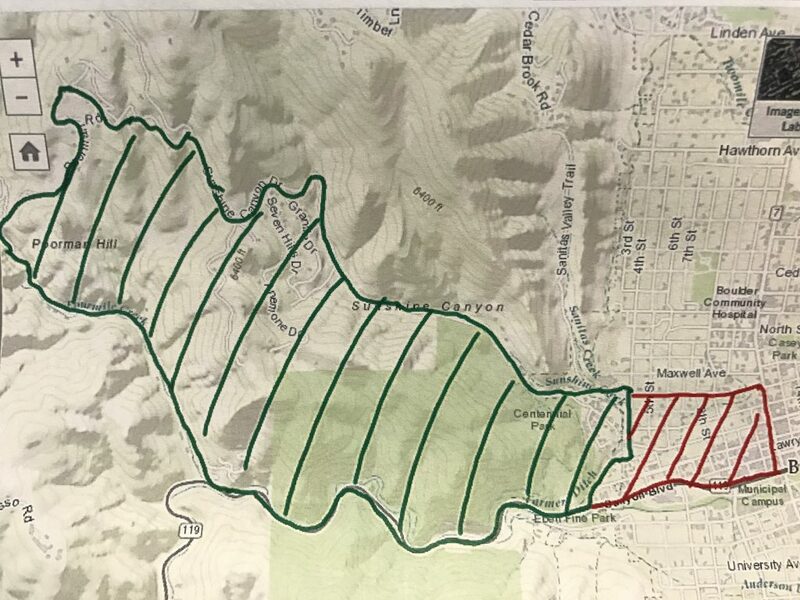 On the north side of the fire, direct and indirect line construction will occur to contain fire that has spread north of Highway 33 and Rose Valley Road. 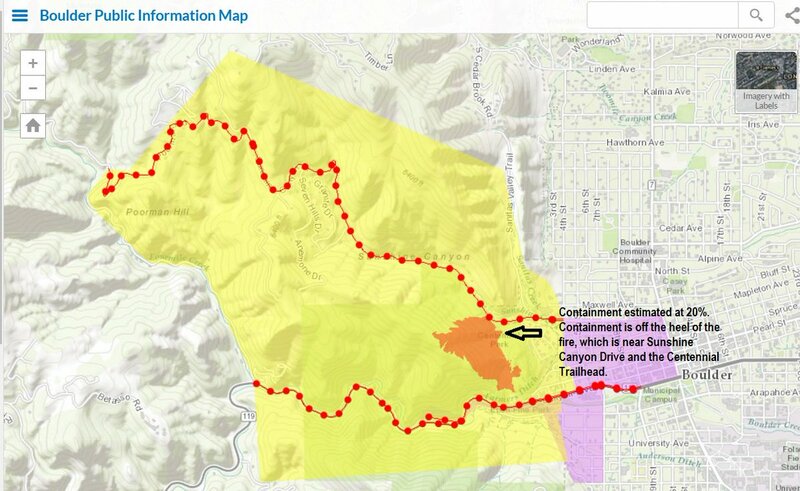 Direct line construction, where possible, will continue within the Zaca Fire burn scar to Highway 33 Fire suppression repair and Damage Inspection will continue as appropriate based on fire conditions. 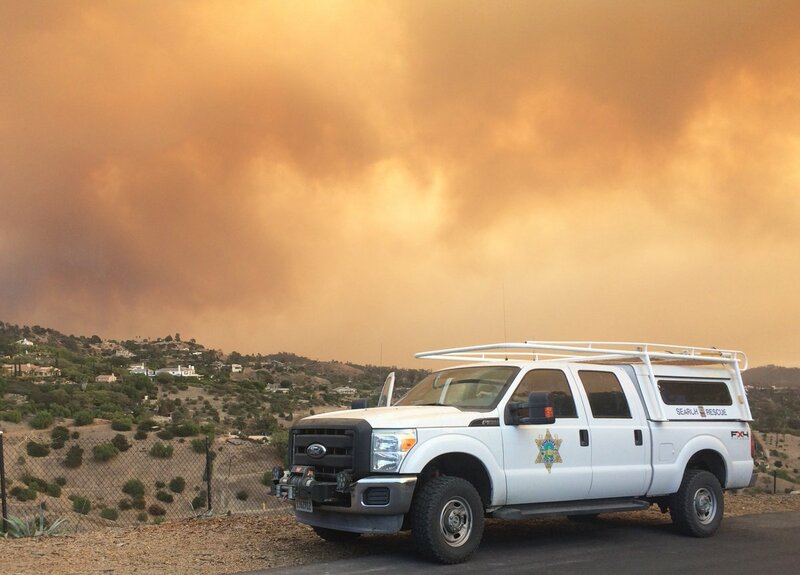 Size, Containment | The fire has consumed 259,000 acres and has a 40% containment status. 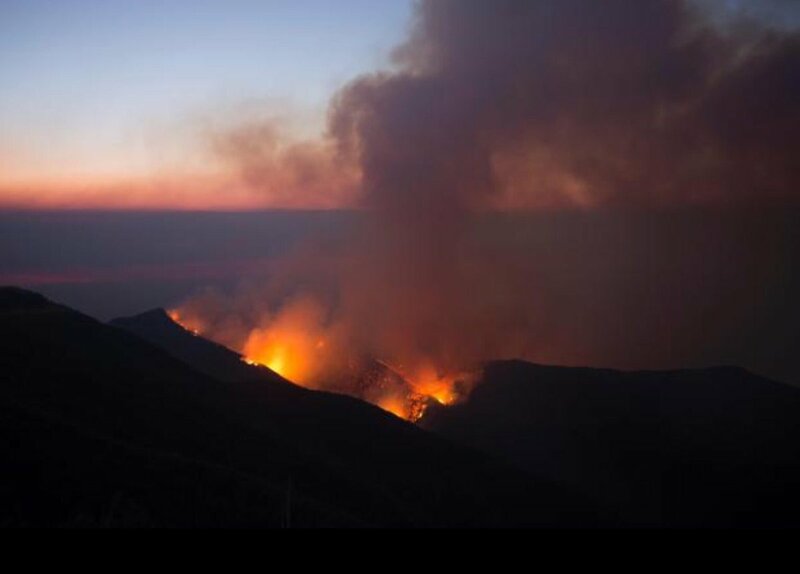 Fire Resources | 8,370 fire personnel along with 973 fire engines, 161 fire crews, 32 helicopters, 77 bulldozers and 92 water tenders. CAL FIRE IMT -4 is in command. Damage Assessments | 1,009 structures destroyed. 240 structures damaged. 18,000 still threatened. 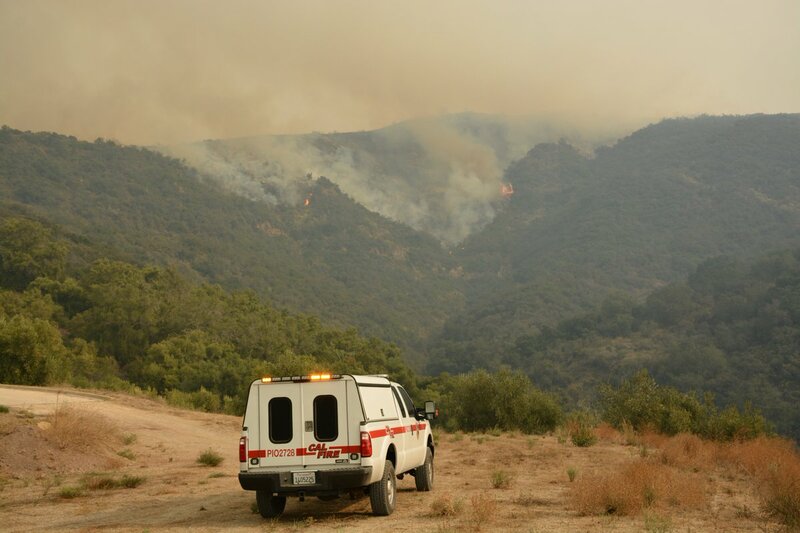 Current Fire Status (Santa Barbara) | Firefighters to continue building direct fireline where possible with support from fire resources, working to tie in to the Tea and Jesusita Fires footprints and remain engaged in structure protection operations. 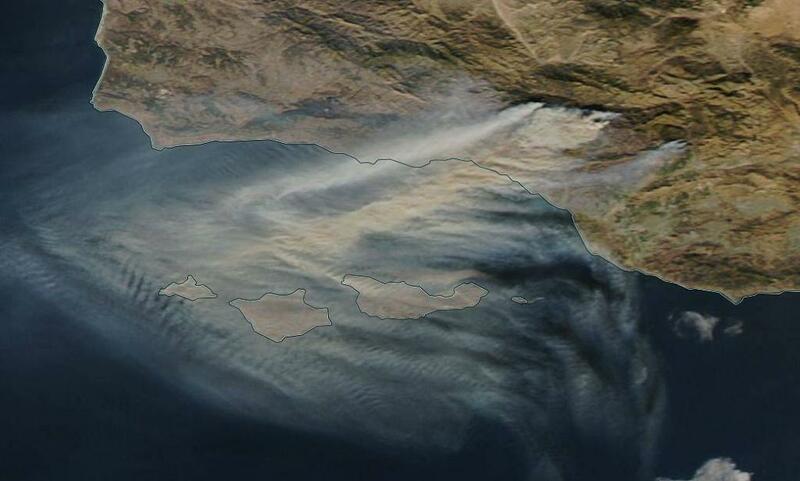 Carpinteria, Summerland, Montecito and Santa Barbara communities are still being threatened. 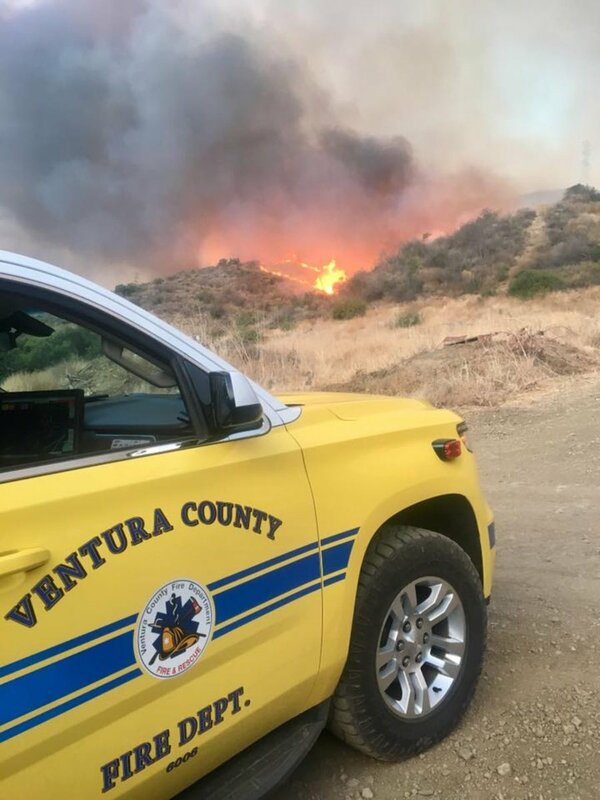 Current Fire Status (Ventura County) | Firefighters on the east side, are working to improve fireline that has been established to fire out of nearby community of Fillmore. They will additionally extend north from Fillmore in preparation of future firing operations. On the north side of the fire, will be closely monitored by crews. Fireline construction north of Camino Cielo with light fuels in the Zaca Fire footprint will continue where lines have never been established. 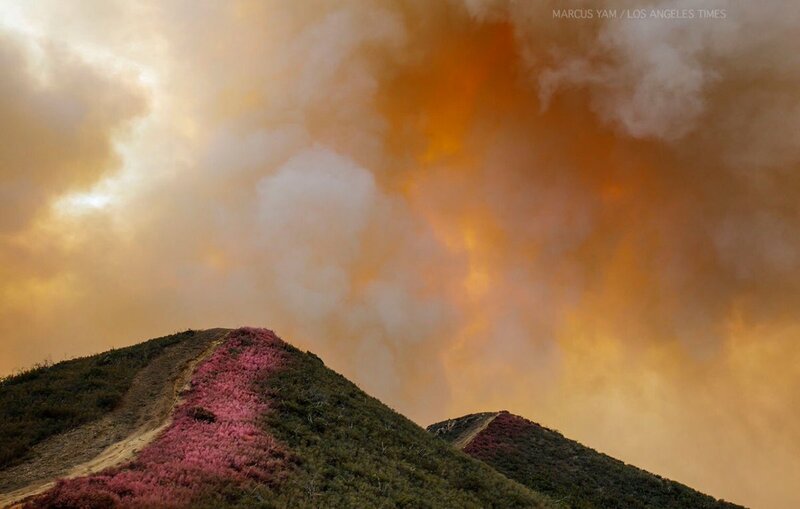 Near Sunshine Canyon, Colorado | A wildfire broke out in the area approximately nine hours ago with evacuations under way and water being gulped up by air resources from Wonderland Lake. 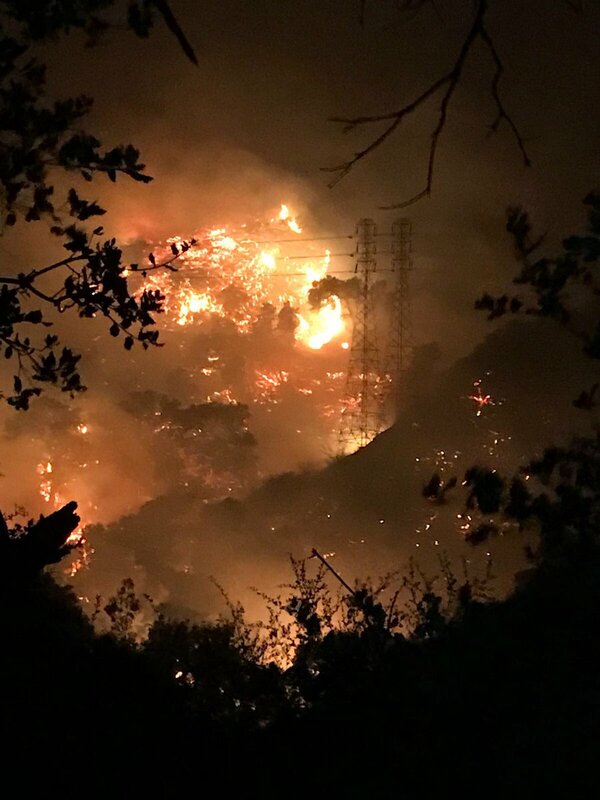 Fire conditions progressively proved to be worsening as the fire began to intensify only one hour later with the initial five to eight acres burning. 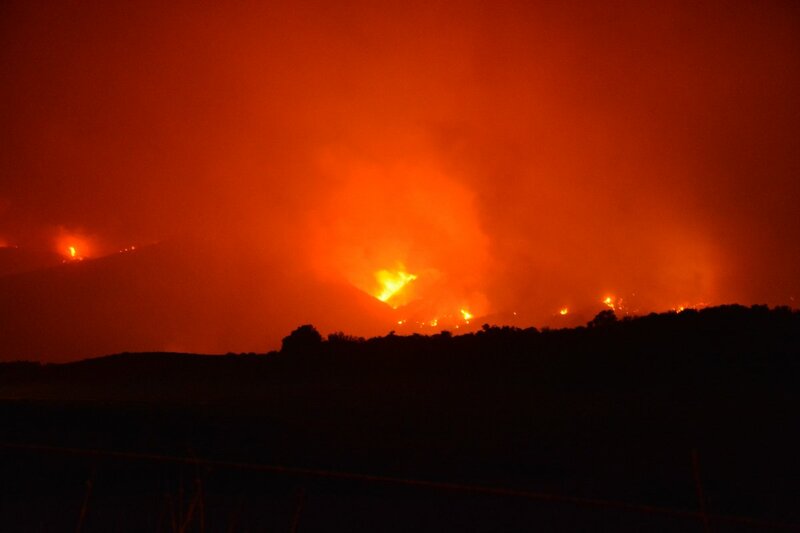 However, winds were moving in a southern direction causing the fire to pick up speeds. 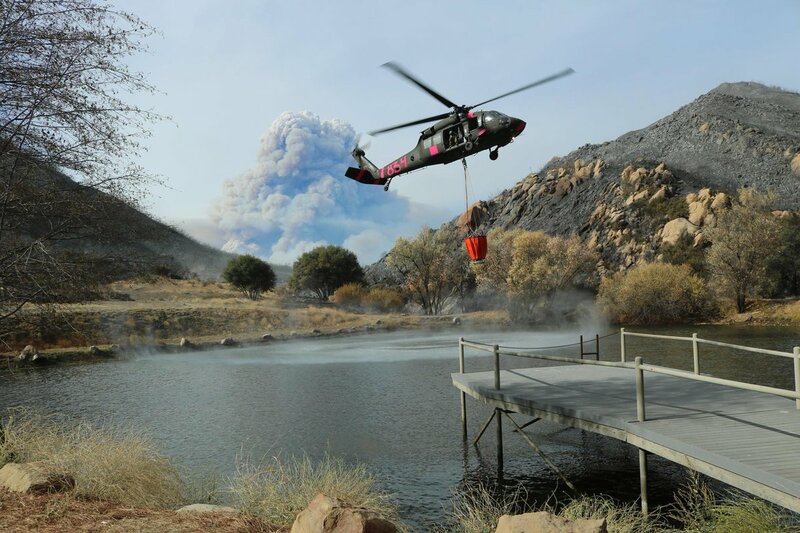 Fire Managers initially believed the fire had increased to 30-50 acres which in actuality it was being held at 62 acres. 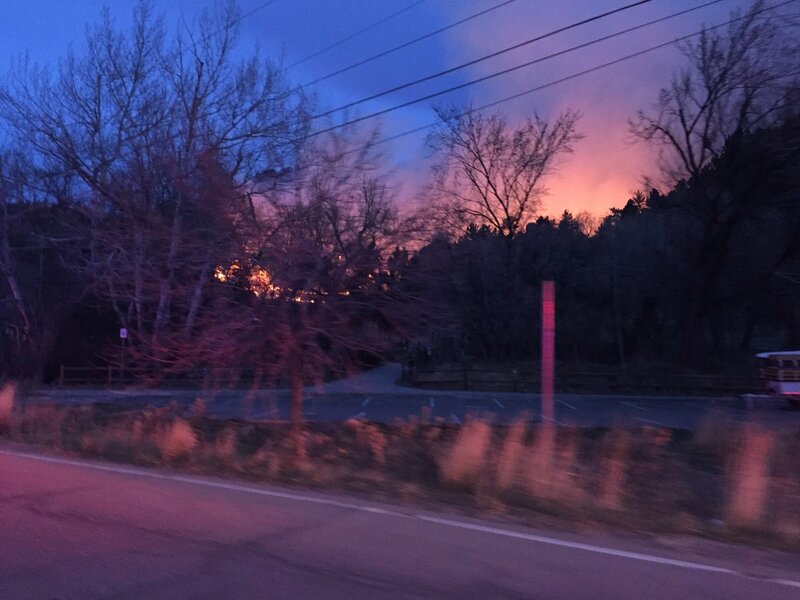 Fire crews have successfully reached a 20% containment status. Currently, Air operations are fully engaged and dropping slurry/water. All 8 aircraft active; 1 SEAT (Ft Collins), 1 heavy air tanker (Jeff County), 2 Chinook (National Guard), 2 Blackhawk (National Guard), 1 Lead, 1 MMA. Bucket drop target started at 0830 this morning. “Slurry” is another name for Fire Retardant. East Boulder Community Center for people and their pets. [Small animals are welcome, please being a crate is available]. Boulder County Fairgrounds – Large animals. Sunshine Canyon Drive (Mapleton) between 4th Street and Timber. In the City of Boulder between Mapleton and Canyon Drive along 4th. Boulder Canyon closure at 9th Street westbound. 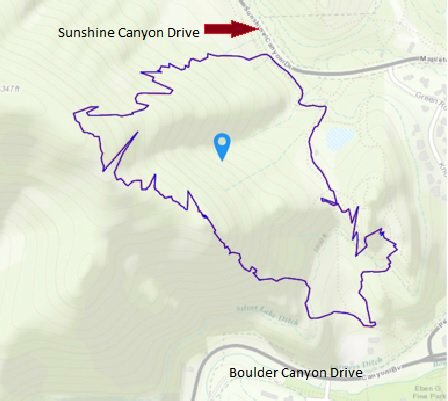 Betasso Preserve & Bald Mountain Open Spaces as well as Boulder OSMP trails in the Red Rocks, Sanitas, Sunshine Canyon and Wonderland Lake areas are closed. Fire Retardant consists of 85% water, 10% fertilizer & ammonia phosphate and 5% iron oxide red clay and bentinite. Eldora Ski Resort pass holders should avoid 119 today and take alternate routes. The current weather in Boulder, Colorado is 73*F degrees with winds at 11 m.p.h., partly cloudy with 15% humidity and UV being moderate. Due to the fire conditions, it is not recommended for recreational use in the area due to smoke and other unhealthy air conditions. A severe Winter storm has slammed into parts of the Mid-Atlantic and Eastern parts of our Nation. We will be providing Updates for each State as there is simply too much information to combine all into one blog post. On Saturday at 1430 EST, NY State Governor Cuomo issued a State of Emergency which has impacted many lives and saving thousands, if not millions. Here’s what we know so far. COUNTIES AFFECTED: Bronx, Kings, Nassau, Suffolk, New York, Queens, Orange, Putnam, Richmond, Rockland and Westchester. As of 1430 EST, the Governor issued a ROAD TRAVEL BANS. ROAD TRAVEL BANS | This means that no one is to travel on any of the following roadways listed below or as a driver, you will face the consequences of being charged with a misdemeanor and fined up to $300. Additional fines can also apply. NYC: Local and State roads are off-limits. LONG ISLAND: State roadways, Long Island Expressway and Northern State Parkway have been close. MANHATTAN: Law Enforcement is manning all road blocks during the State of Emergency Road Travel ban. If you are found to be on the roadway during this ban, you will face a misdemeanor charge with up to $300 in fines. Additional fines can be added for additional violations. The Executive Order has been signed by the Governor. According to the Governor’s Office, New York City is expected to see a snow accumulation of around 24-30″ and Long Island is expected to receive between 18-24″ of snow before Sunday. Heavy winds are expected to hit between 30-40 mph with wind gusts up to 55 mph. Visibility is likely to be like blizzard to whiteout conditions. Power outages are expected due to the heavy amounts of snow predicted to continue in already hard-hit areas. We have provided you with a list of Utilities and who to contact in your area. 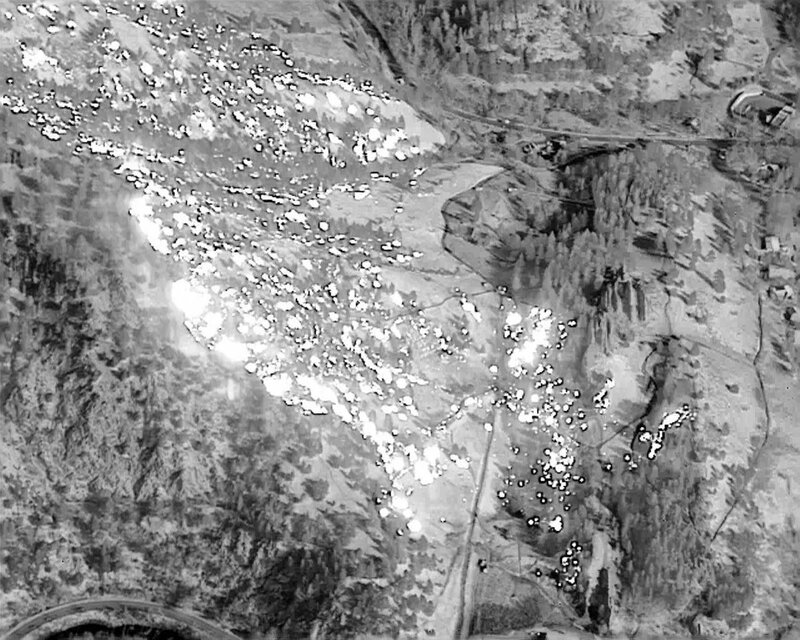 Recorded as one of the worst blizzards on record occurred on March 11th through the 14th when an unmildly winter appeared out of normal, suddenly changed over to heavy rain followed by snow. The Great Blizzard of 1888 was said to be one of the area’s worst storms on record. The storm began on March 12th after midnight as heavy rain began to fall. With temps dropped, snow immediately began dumping on to NJ, NY, MA, RI and CT. The storm continued for one-and-a-half days affecting the Nor’Easter States. The storm is said to have dropped 20″ – 30″ of snow on Northern VT.
Snowdrifts reached 30-40′ high seen covering rooftops of homes from NY to NE. Railroads shut down and residents were forced to shelter-in-place for up to a week. The average temps were with a minimum of 6-degrees and a daytime high of only 8-degrees on March 13, 1888. It was the recorded as the coolest day on any record for the month of March. This storm caused $25M [equals to $860M in our current day ] and had a record of 400 deaths across Eastern U.S. and Eastern parts of Canada. Not much was found between the earlier years and 2006. What we do know is this extratropical and winter storm formed on Feb 11, 2006 touching the lives of those in the Mid Atlantic States and including Northern VA and ME. It was deemed to be a Cat 2. The following day on Feb 12, 2006, it found its way to impacting major Cities such as Baltimore to Boston with 26.9″ accumulations in snow coverage to NYC. This was the most recorded since 1869, when the recordkeeping started. States such as VA, MD, DC, PA, NY, NJ, DE and NE were affected. Areas suffered $5M [2006 USD] in damages. This Dec major Nor’Easter and historic blizzard occurred on Dec 5 through the 29th of 2010 that affected large parts of Norfolk, Philly, NYC, Hartford, Providence and Boston with receiving up to 12-32″ in most areas. Impacted was NC, NYC, NJ, CT, ME, MA and Atlantic Canada and had in $80M in damages [2010 USD]. This storm occurred in N’easter US and parts of Canada two weeks after a previous major Blizzard and struck the same affected areas already touched in earlier Jan. This extratropical cyclone Blizzard, Ice Storm, Winter Storm and named tornado outbreak touched Central US< NE and the Great Lakes that dropped 27″ of snow on Antioch, IL. The storm incident caused $1.8B in damages and led to 36 deaths. The February 5-6, 2010 Blizzard or also known as “Snowmageddon” Category 3 [Major] extratropical cyclone, blizzard and winter storm caused 41 deaths. Te storm had 978MB that dropped 38.3″ of snow accumulations on Elkridge, MA. Impacted areas were Midwest and the East Coast from IL to NC to NY. Affects from this storm were felt by those North and West of Northern Mexico, CA and Southerner, Mid Western, Southwestern and most notably in the Mi Atlantic States. Severe weather took place in NM, VA, PA, MD. Landslides and Flooding occurred in Mexico. Widespread of snow accumulation of 20-35″ in Southern PA and Eastern States. No estimated cost of damages were known. Three days later, the area experienced the effects of yet another extratropical and winder storms that would form on Feb 7th with a 969MB causing three deaths and dissipating on Feb 11th. It wasn’t yet soon enough as it largely impacted the Midwestern U.S., Mid Atlantic and the Northeast from States, such as IL to VA, VT, WA DC, New York City [NYC], Baltimore to New Jersey. As you can see, there seems to be a pattern for the people living in these highlighted States with Blizzards not being so uncommon these days. This Blizzard was just like all the others as an extratropical, winter storm and blizzard. It formed on Feb 24 and dissipated on the 27. It was 972MB and dumped up to a high snow accumulation of 53″ in Potter Hollow, NY. It impact touched the lives of those in CT, DE, ME, MA, MD, NH, NJ, PA, RI, WV and Canada, our next-door neighbor. Not long after the previous storm, another one was ready in its wings to yet once again impact lives of those in CT, ME, MA, NH, NJ, NY, PA, RI and VT. The extratropical cyclone was also a winter storm. It had 993 MB. This Winter Storm as some named “Winter Storm Juno” dumped 36″ of snow on MA and had highest wind gusts up to 95 mph. The storm formed on Jan 11 and ended on Jan 31, 2015. The extratropical cyclone had 970 mb with wind speeds of 75 mph. It impacted CT, NJ, MA, RI and NY. 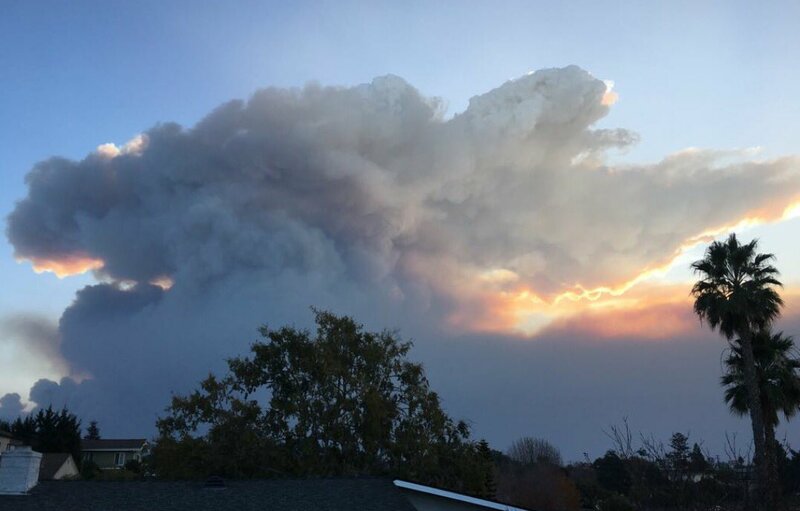 The #HiddenPines Wildfire burning in Bastrop County, Texas that started on October 13, 2015 around noon has reached an 80% containment status and not without further damage to its surroundings. The fire cause is unknown at this time but is still being investigated. 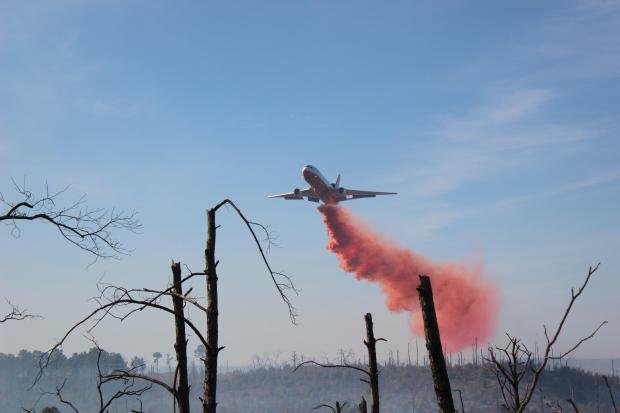 [Pictured above: A “Single Engine Air Tanker” or known as a “SEAT” drops a load down below. Hours of Operations: For affected Livestock owners: 9-5 10/22,23, 26, 27, 28 at the Bastrop Show Barn. Livestock grazing on grass or hay: You can get help with feed and hay, made possible by donations from citizens and agricultural agencies. Contact: Rachel Bauer, County Extension Agent, if you have questions at (512) 468-7953. Agricultural producers need to report grazing, hay and fencing losses to Rachel Bauer as well. Fire crews are currently in patrol and mop-up stages near structures and currently holding to its current burned area of 4,582 acres. No injuries reported. 64 Homes have been destroyed. “BURN BAN IS STILL IN EFFECT. 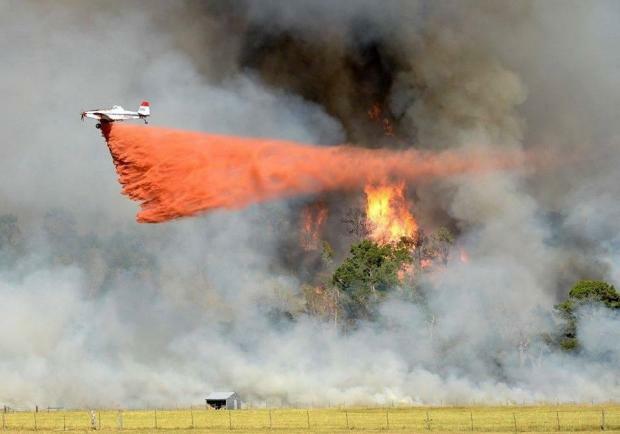 DO NOT BURN OR YOU WILL BE HELD TO THE HIGHEST ACCOUNT THE LAW WILL ALLOW!” – Bastrop County Office of Emergency Management via their Facebook Page. 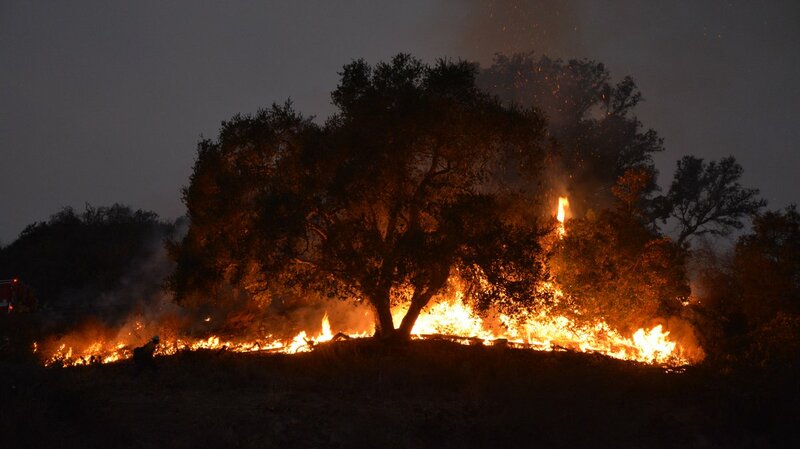 We know they are facing dry drought conditions and fire behavior has been very extreme these past several weeks. Please respect the environment and be Fire Smart. A TFR has been in place over the fire to protect all involved with this incident.